One in two of over 1,500 people in Bihar, Jharkhand & Madhya Pradesh we surveyed on Mobile Vaani recently said that agriculture was their primary source of income. But most of these farmers – 87% – faced income shocks over the past year, ranging from crops being destroyed due to unseasonal rain, hail, pests or floods; losses due to low price on the crop; and ongoing drought. Crop insurance could have helped many of them manage these shocks, but only 27% of the farmers had crop insurance, and most didn’t know how to use it or hadn’t used it. 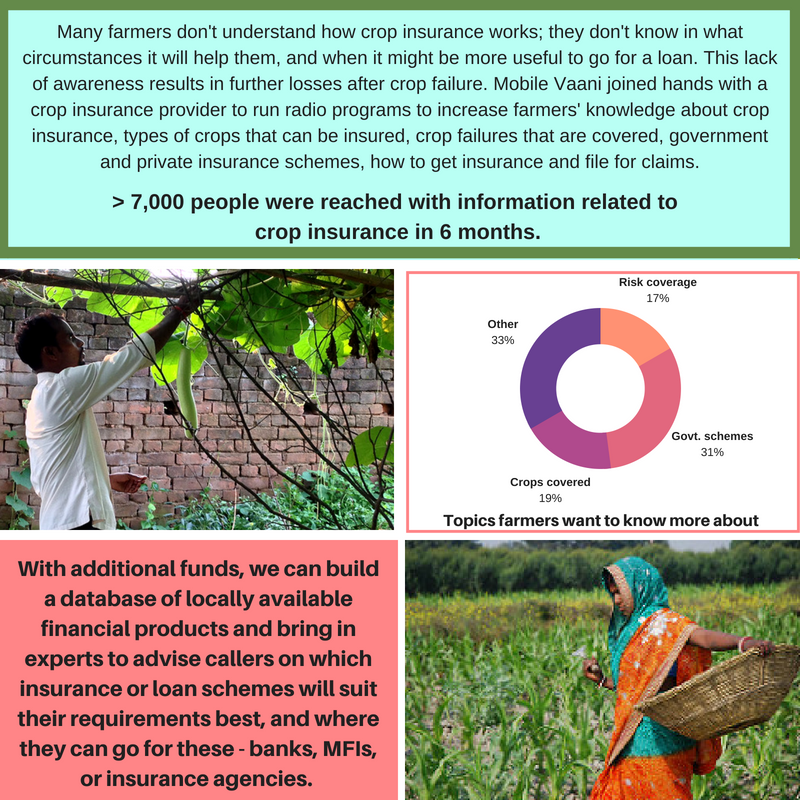 With support from GIZ, we worked with a prominent agriculture insurance provider to run a program to increase farmers’ awareness on crop insurance, reaching over 7,000 farmers in Haryana in a short span. We want to increase its scope to talk about locally-available financial products such as insurance or loans, and where to obtain these.